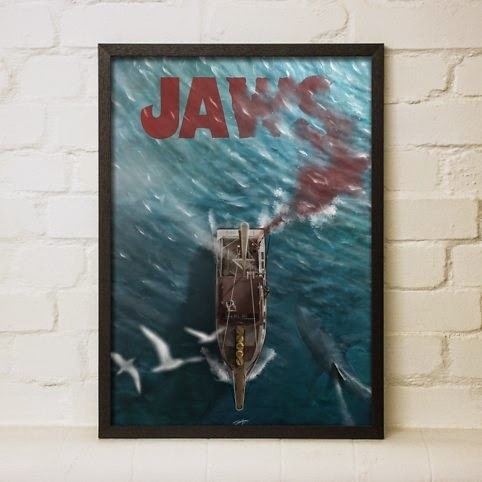 I love the Jaws print at the top of the page so much. 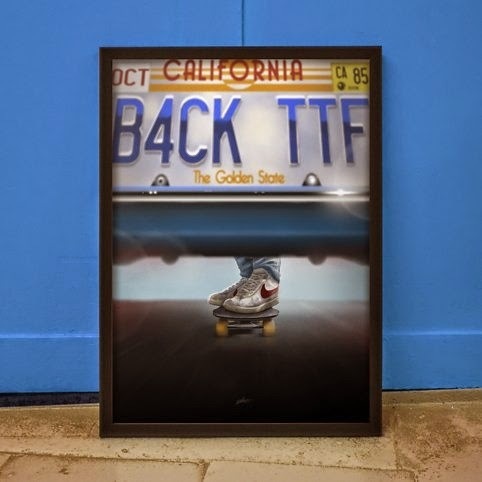 Almost as much as this Back the the Future print. It's so simple, it's not even really about the film and yet nothing could be more instantly Marty McFly. Little bit smitten with Liam Brazier's work. 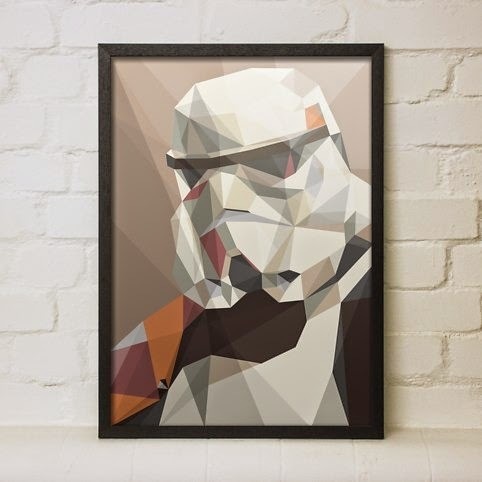 Don't even really care about Stormtroopers (I know, so sue me) but I think this is ace. They sort of glossed over this, didn't they? 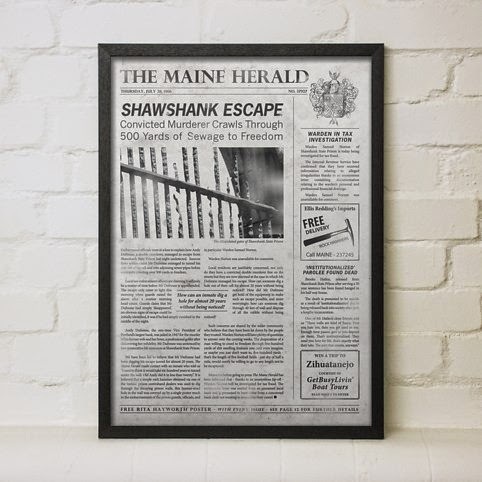 This Shawshank Redemption print is my absolute favourite. It's made me want to watch the film again immediately. The free Rita Hayworth poster notice at the bottom is a stroke of magic. Pricing for each print is the same, which is brilliant. So often I look through art websites and find that the one I want is a limited edition and roughly the same price as a small car. 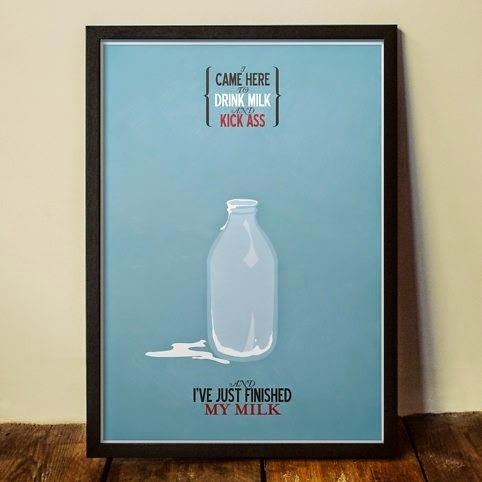 Unframed, each print is £19.99. If you want the frame so they're present-ready they're £34.99 and if you fancy the print on a cushion, that will cost you £29.99. 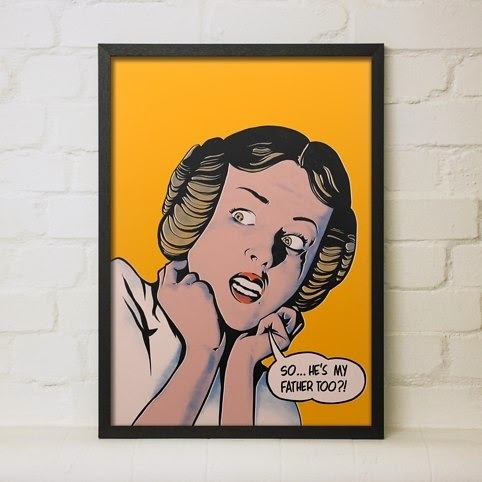 Go, adorn your walls.